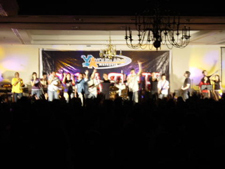 Youth Alive is a Christian organisation that operates in every state in Australia. The concept for Youth Alive was formed in 1982 at a camp in Victoria. It was birthed out of a genuine concern and passion for reaching young Australians with a positive message. This concern was being felt in a similar fashion in Queensland, South Australia, New South Wales and Western Australia, and in June 1986, youth leaders from around the nation met in Melbourne to discuss plans to make an impact on this issue. Out of this meeting Youth Alive was formed with its first National director, Mal Fletcher.